The 1000 horsepower, five tonne heavyweights of motorsport, drawn from the British Truck Racing Championship’ (BTRC) race series, will run on the ring road circuit on June 4- 5 - courtesy of Coventry Motofest’s new partnership with Donington Park circuit. 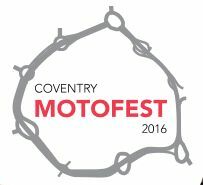 Stuart Oliver, Director of Truck Sport Promotions Ltd said: “As a company, Truck Sport Promotions Limited are delighted to be given the opportunity to attend this year’s Coventry Motofest. “We are looking forward to bringing along a selection of 1,100 BHP Race Trucks to entertain, demonstrate and display to those attending the high level of skill and professionalism involved in the British Truck Racing Championship. Darren Langeveld, Coventry Motofest Race Director, said: “Racing Trucks make for some of the most spectacular sights in British motorsport, with burning rubber and powerslides a common sight. “They are certainly nothing like the trucks you might casually overtake on a motorway or the ring road! Alongside the main championship round, the meeting in July hosts the comparatively tiny Legends cars, roaring Pick-Up Trucks on track and off track plenty of family fun with kid’s entertainment, fairground rides and activity areas. If you are a short oval racer and wish to book your place for the two day show please email sophie@coventrystox.com as places are limited. take time out to have a look around this incredible machine and don't miss it in action! If you are competing this weekend at the Short Oval, please click here for a driver information sheet.